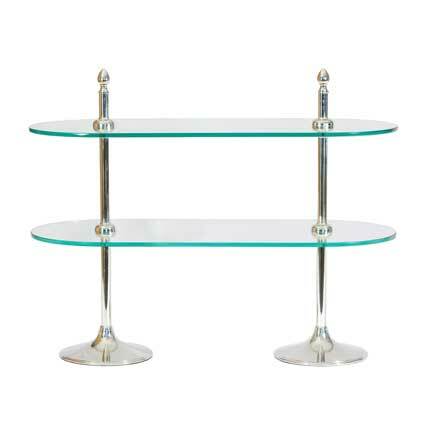 Our 2- tier pastry stand is perfect for a dessert table and can hold a large variety of desserts! The stand measures approximately 21" tall. This product cannot be shipped.